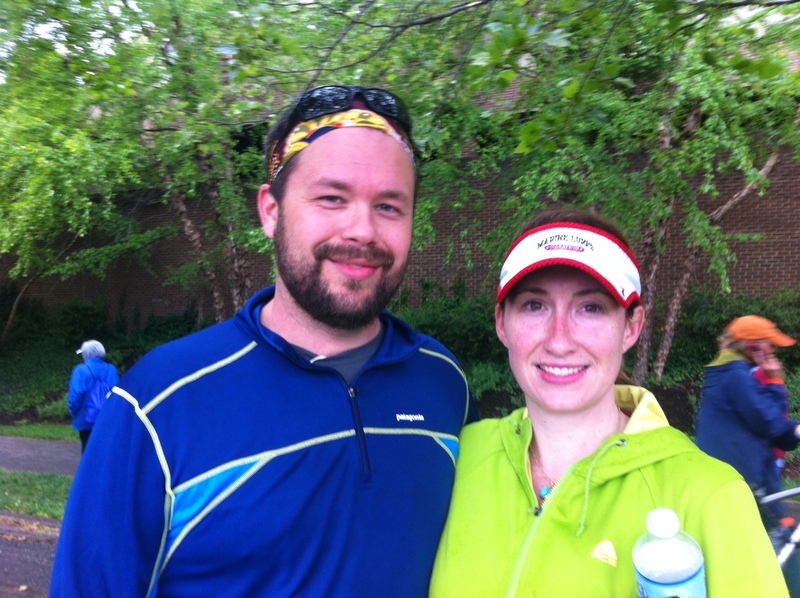 Despite the weather (cold and rainy), Pacers managed to put on another great race. 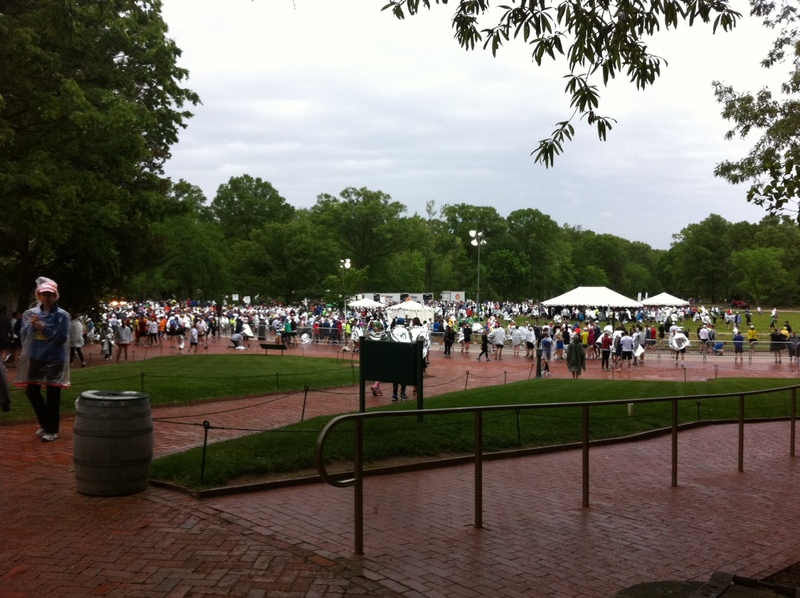 This morning’s GW Parkway Classic was a blast…and a perfect way to “get back in the swing of things” after my recent running injury (read about that here). From plush bus transportation and coffee/space blankets at the start, to copious water/Gatorade stops and a generous hospitality tent at the finish line, it’s obvious that the race organizers have worked out all the kinks over 28 years of running. The results are now online, and all things considered, I’m happy with my time -10 min miles- and looking forward to the next race (where I’ll hopefully get back to beating my husband). Happy Running! ← GW Parkway Classic! Getting ready for 10 miles! Yes! Beating your husband is an important goal. 😉 Glad you had a good comeback race! Thanks! Looking forward to getting my times back down!